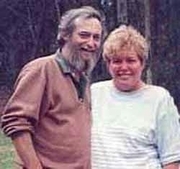 Emma Darcy was the pseudonym of the husband-and-wife team Wendy Brennan and Frank Brennan. Since Frank's death in 1995, Wendy continues to write under the pseudonym. Wendy was born on November 28 in Australia. She obtained an Honours degree in Latin. Her ambition to be an actress was partly satisfied by playing in amateur theater productions. Initially a teacher of French and English, she changed her career to computer programming before her marriage with Frank Brennan and her motherhood settled her into a community life. Her creative urges were channeled into oil painting, pottery, designing and overseeing the construction and decorating of two homes, all in the midst of keeping up with three lively sons and the very busy social life of her businessman husband. Voracious readers, the step to writing their own books seemed a natural progression and the challenge of creating wonderful stories was soon highly addictive. With their strong interest in people and relationships, the marriage found the world of romance fiction a happy one. In 1983, they published their first novel as Emma Darcy, and now average six new books per year. In 1993, in the Emma Darcy's 10th anniversary, Wendy and Frank Brennan created the "Emma Darcy Award Contest" to encourage authors to finish their manuscripts. It had a prize of $2,000 and a guarantee that the manuscript would be seen by an acquiring editor. Wendy Brennan's life journey has taken as many twists and turns as those of the characters in her stories, whose popularity worldwide has resulted in 60 million books in print. Since 1995, when Frank Brennan died, Wendy writes the novels on her own. Her conviction that we must make all we can out of the life we are given keeps her striving to know more, be more, give more, and this is reflected in all her books. Currently, she has broadened her horizons and begun to write mainstream women's fiction. Other new directions include her most recent adventures of blissfully breezing around the Gulf of Mexico from Florida to Louisiana in a red Ford Mustang convertible, and risking the perils of the tortuous road along the magnificent Amalfi Coast in Italy. Wendy Brennan is currently living on a beautiful country property in New South Wales, she has moved from country to city to towns and back to country, sporadically indulging her love of tropical islands with numerous vacations. Emma Darcy is currently considered a "single author." If one or more works are by a distinct, homonymous authors, go ahead and split the author. Emma Darcy is composed of 3 names. You can examine and separate out names.